I gave a talk yesterday as part of RTE's Reflecting the Rising programme for Easter Monday: they did a brilliant job organising a varied and entertaining series of events throughout Dublin, well done to all involved. It was a privilege to be part of fantastic Easter 2016 weekend of commemoration and celebration. And thank you in particular to Dr Gavin Jennings who chaired my session in the Gresham Hotel. Do We Need a New Proclamation for a New Generation? I don’t know about you, but yesterday when Capt Peter Kelleher read the Proclamation of the Irish Republic outside the GPO my heart swelled with pride in our country and our people. It was a wonderful commemorative ceremony on a glorious Easter Sunday, something we can all be truly proud of. But why does the Proclamation, written and printed in haste 100 years ago, still have such a grip on our shared sense of identity and purpose as a people? Why do its words – somewhat archaic and very much of their time – still resonate with us today? And now that the centenary of the 1916 Rising has come to pass, will the Proclamation itself lose its grip and resonate less with we Irish in the years ahead? I want to explore these and other questions with you here today on Easter Monday, the day the Rising actually started, and 100 years after Pearse stood outside the GPO only a short distance from here to read the Proclamation for the first time, albeit to a somewhat smaller and more skeptical crowd than the one that heard Capt Kelleher yesterday! Though first let me answer the question posed in the title of my talk: do we need a new proclamation for a new generation? The short answer is no: though I hope you’ll stay around for a longer one! However, I believe the Proclamation will mean something different to us as the centenary in turn becomes history. I also believe it will continue to be a source of inspiration for the future. In a sense, we need not so much a ‘new’ proclamation as a ‘renewed’ Proclamation for a new generation. Let me explain what I mean. Or instead of poetry we could make a more prosaic comparison with a business mission statement, which also tries to combine inspiration with aspiration, pointing to a higher purpose and more distant future than the stuff of short term business objectives. Though judging by some of the mission statements I’ve read over the years, their writers could learn a thing or two from the Proclamation when it comes to inspiring and moving their readers! However, I think the power of the proclamation is ‘hidden in plain sight’ so to speak: its power lies in an extraordinary fusion of the past with the future, connecting the dead generations with generations yet unborn in a singular moment of time – this supreme hour – when the course of history and the fate of destiny pivoted and took a different direction to the one expected in April 1916. The ancient Greeks knew all about this. They had two concepts of time: chronos and kairos. The former – chronos – is what we usually mean by time, in other words a linear dimension linking the past to the present to the future. But kairos is different, it comes from an ancient Greek word meaning the right or opportune moment; a time in between, a moment in time when something special, something unexpected happens. The 1916 Rising took place in kairos time – she now seizes that moment – a fleeting intersection of opportunity and action. Yeats recognized kairos too in his immortal lines ‘all changed, changed utterly, a terrible beauty is born’. And so perhaps Easter 2016 could also be an occasion for reorientation; for stepping back from the constant flow of chronos to once again check our course and adjust it if we are unhappy with where we are heading in as a nation? To reconnect with kairos and with destiny – perhaps, even with beauty. That said, the 1916 Proclamation was not unprecedented. Others had used proclamations and declarations to announce their own supreme hour: from the American Declaration of Independence in 1776 to Robert Emmet’s Proclamation in 1803 and to the Fenians’ Proclamation in 1867. And let’s not forget the Ulster Covenant of 1912. Indeed, the 1916 Proclamation was clearly influenced structurally and textually by these and other declarations. However, the Proclamation was not merely derivative of others that had gone before. Far from it. In fact, the Proclamation was remarkably innovative, right down to the opening phrase: Poblacht na hEireann. Though translated nowadays as The Irish Republic, the word poblacht didn’t actually exist according to the Irish-English dictionaries of the time (but did from the 1920s onwards). It was in fact a neologism: a new word invented to describe something for which there was no word before, a bit like a buzzword but with a longer shelf life! 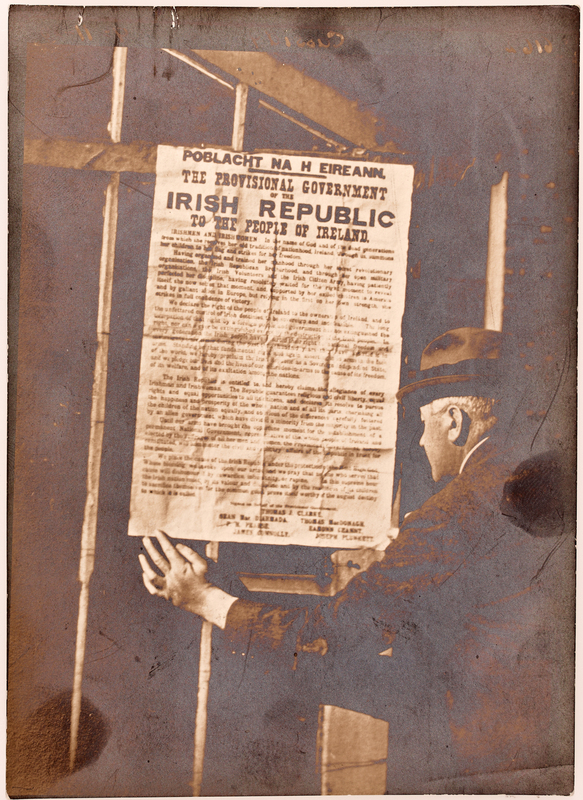 The rest of the Proclamation’s text then famously references the causes of national sovereignty, equality for men and women and religious tolerance as the goals of the Irish Republic intended to follow the Easter Uprising. As I point out in my book: ‘2016 A New Proclamation for A New Generation’ much of what the rebels wanted has come to pass, though perhaps not as quickly or in the manner in which originally intended. So is it ‘job done’ for the 1916 Proclamation? Is the task simply one of tweaking and refining the finer details required to secure our august destiny? A task more suited to prose than poetry perhaps? Is it time to finally see the Proclamation as an historic document only, no longer relevant to the present let alone the future? I don’t think so. Firstly, as much of the debate about the 1916 centenary has highlighted, we’re still a long way away from achieving the ambitions of the Proclamation’s signatories for the unfettered control of Irish destinies never mind the happiness and prosperity of of the whole nation and all its parts. Nor can we ignore partition and the very different destinies of the two parts of this island. Secondly, however, is a bigger issue that hasn’t been addressed in any of the commentary about the Rising and the Proclamation that I have seen, namely: what is the Republic for, and what do we want to do with our freedom now we have it? Of course, these are questions for philosophy and theology, not just for politics. I would promote this idea of freedom by the very organisation of the school itself, giving a certain autonomy not only to the school, but to the particular parts of the school: to the staff, of course, but also to the pupils, and, in a large school, to the various sub-divisions of the pupils. I do not plead for anarchy. I plead for freedom within the law, for liberty, not licence, for that true freedom which can exist only where there is discipline, which exists in fact because each, valuing his own freedom, respects also the freedom of others. Pearse’s ideas were undoubtedly radical for his time – and even for our own time! – but his ideas and those of others showed a willingness to innovate and to create a different future drawing on the best of the past. But Pearse also understood that the ‘past’ is important too, for after all we are linked by our culture, our traditions and beliefs to what GK Chesterton called ‘the democracy of the dead’. A democracy we all eventually get to join, by the way, whether we want to or not! One hundred years later the Proclamation still invites us to draw on our past as inspiration and guidance for our future. The centenary we are celebrating today is an opportunity to restore our faith in the future by strengthening our connections with the past. That isn’t just a noble ambition, it is a necessary one. There’s a line in Alice in Wonderland which goes: if you don’t know where you are going then any road will take you there. Without a shared sense of purpose and ambition as a nation rooted in our past then we may well find ourselves on any old road, going anywhere but where we really want to go. Who knows, if we can use the 2016 centenary to restore and reinvigorate our national faith in the future we might even inspire others. Take the European Union: right now it has lost its faith in the future. So much so that our nearest neighbours might even exit it in just a few months’ time. It seems to me that Europe’s loss of faith is very much a consequence of weakening its connections with the past, and as a result it no longer knows what it is for or where it is going. Perhaps Europe needs a proclamation of its own right now? Without the ‘democracy of tradition’ we end up ‘trapped in the present’: not sure who we are, where we’re from or where we are going. Instead, we end up with a contemporary culture that disdains our ancestors (they were, after all, terribly politically incorrect) and that even disdains religious belief despite remaining the shared culture and tradition tradition of the majority of Europeans (indeed, over 80% of Irish adults, as it happens, belong to one faith tradition or another). Worse, we risk losing the ability to draw meaningful inspiration from the past just at a time when we need it most. A people without a shared sense of what connects their past to their present and to their future is no longer a people but merely a collection of consumers, workers and voters at the whim of whatever our ‘betters’ in government, business and the media considers to be important. We end up buffeted along by chronos, missing the opportunities presented by kairos. In Ireland as well as in Europe. In marked contrast, those who signed the 1916 Proclamation were not trapped in the present. They did not disdain their ancestors and they even mentioned God twice. Like I said, our ancestors were a terribly un-PC lot! Yet, if we are to find effective solutions to the challenges we now face, we will need once again to forge that same sense of shared purpose as they did, drawing on the same breadth of values and traditions, in order to chart our way forward and to build a better society for all our citizens, one in which virtue, truth and beauty can flourish. This should be fun - I will be running a session on Easter Monday in the Gresham Hotel as part of RTE's 'Reflecting the Rising' series. 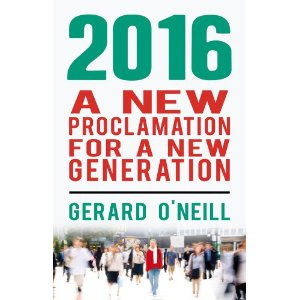 My theme - not surprisingly - is 'do we need a new proclamation for a new generation'? I'm also looking forward to the session after mine featuring Tom McGurk talking about the history and role of the Dungannon Clubs. 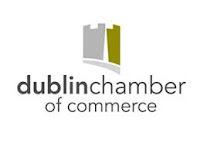 Let me begin with a confession: I love science fiction, so when I was asked to talk to you about Dublin in 2050 I thought, great, how many references to Bladerunner, The Matrix and Terminator will I be able to fit into my speech this morning! The story is also a reminder that we can be very wrong about the near future, let alone the far future. And 2050 is far: as distant from us in time as is 1982, to be precise. But sometimes there is value in taking the long term view. It allows us to step back and see bigger trends and opportunities than might otherwise be the case if we simply focus on the short term. As it happens, 2016 is a very good year indeed for taking a long term view. The centenary of the 1916 Easter Rising in Dublin reminds us that there are moments in our nation’s history when we can change course; when we are called to an ‘august destiny’ that challenges us to think anew about the choices we make and the course we are on. Today as it happens is ‘Proclamation Day’, the day when every school in Ireland is invited to unveil and read their own ‘Proclamation for a New Generation’, using the 1916 Proclamation as a foundation to reflect the values, ideals and aspirations of the generation of 2016. I think it’s a great idea. Indeed, I could even go further and say that it was actually my idea, as I wrote a book a few years back called: ‘2016: A New Proclamation for a New Generation’, though I’m not precious about it, honestly! There is an old saying that ‘politicians campaign in poetry, but govern in prose’. The 1916 Proclamation was certainly more poetry than prose – but perhaps that is why it still resonates with us a century later? So if we are going to create an inspiring vision of Dublin in 2050 then I believe we need poetry of our own. Now don’t worry, I’m not about to regale you with rhyming couplets for the remainder of my speech! But I would like to challenge the way you and I think about the future. In my book I suggested that we need to tell a new story about our future here in Ireland, one woven from three distinct themes I identify as ‘The Three Cs’, namely: commerce, creativity and compassion. So let me elaborate a little on each of these in the context of imagining Dublin in 2050. How do we meet so many needs with so few resources? But here’s the thing: I’m not sure the question is going to be as relevant in 2050. I think we are leaving behind an Age of Scarcity and entering the Age of Abundance. Though it might not feel that way to many right now. Still, I am certain that many of the fastest growing, commercial opportunities in future will be those that use an abundance of time, resources and finance to help people lead flourishing and fulfilling lives as individuals and in their families and communities. Okay, you probably think I’ve gone all ‘science fiction’ on you, but I haven’t. Just look at what has happened since 1982. According to the IMF, Ireland’s GDP per capita on a purchasing power parity basis was just under $8,500 in 1982. This year it is expected to reach more than $56,000: nearly a seven-fold increase. By the way, there were 3.5 million of us back then, there are 4.7 million of us today. So both the numerator and the denominator have grown substantially. Just think what we could do if over the next 34 years we grew GDP per capita to two or three times what it is now? What would we do with the abundance such a future would bring? If you think this is all a bit fanciful then let me tell you about some research Amárach has done recently. We asked a representative sample of broadband users in Ireland how much they pay every month for their service. Let’s say the answer was €100. We then asked them: how much would you need to be compensated every month if your broadband was taken away? The answer was roughly €400 a month. In other words, broadband users are getting a ‘surplus’ of about €300 every month in terms of the benefits they receive from their provider. I suspect that a great many of you here today are also in the business of creating a ‘consumer surplus’ in the lives of your customers. And if you’re not, then I would argue that in the coming Age of Abundance you will end up doing just that. But where does Dublin fit into all this? Let me conclude my speculations with some thoughts on the other two Cs I mentioned earlier, namely: creativity and compassion. Take compassion first. On most measures we are a generous people here in Ireland. One unanticipated consequence of the Rising and independence was the emergence of the Irish missions as a global force in the first half of the twentieth century, operating through thousands of schools, hospitals and churches in dozens of countries less fortunate than our own. Today, our NGOs, development agencies and charities are recognised internationally for the extraordinary work they do. So here’s an idea: why not make Dublin a home for global NGOs and other charitable and philanthropic initiatives, a kind of IFSC for compassion? Some of the same ‘attractions’ could apply - tax breaks, vat rebates etc - but others might work too: like using the resources of the Department of Foreign Affairs to leverage the global impact of new or early stage social entrepreneurs with global ambitions who are willing to relocate to Ireland (as well as our home grown ones, of course). Even in 2050 I suspect there will be many in the world a great deal less well off than we Irish: and we will be a great deal better off to do something about it. Finally, a few words about Creativity. Oscar Wilde once said that ‘the future is what artists are’. In other words, he envisaged a world in which abundance might enable all of us to explore our innate capacities for creativity and imagination, often suppressed by the daily grind of earning a living. So here’s my final idea: what if we set ourselves the goal of making Dublin one of the most beautiful cities in the world by 2050, one renowned internationally for its passionate commitment to beautiful architecture and human-centred urban design. Why not? In an age of abundance, we could finish the job Georgian Dubliners began all those centuries ago with far fewer resources than we have now and will have in future. If we could do that, then I would even be happy to forgo my hover car. 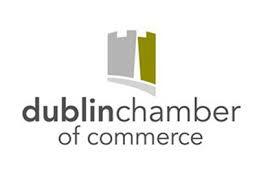 Text of my speech at the launch of the Chambers Ireland CSR Awards 2016. Good morning everyone, and thank you for your invitation to share with you some thoughts on what I have called The Trust Recovery. But first, let me share with you a prediction. I predict that in the next five years at least one major business – turning over more than a billion euro – will go bust as a result of a catastrophic loss of trust by its customers. How do I know this? Well it’s because that’s what consumers tell me in the surveys and focus groups that we run every day at Amárach on behalf of our clients. Trust isn’t one of those fluffy, nice-to-have features of your brand or marketing positioning: trust is a fundamental requirement for customers doing business with you in the first place… and in the last. But I came here to talk about the Trust Recovery – not the Trust Apocalypse! Okay, but ‘what recovery?’ you might ask – as indeed many asked during the recent General Election. Take, for example, the Edelman Trust Barometer. In the latest report for 2016, 43% of Irish adults say they trust business a lot, up from 36% in 2015. That’s a higher level of trust than in the media or government. In some respects, Irish businesses have done a better job of retaining – or a least regaining – trust than have NGOs, politicians or media owners. Though that’s not an excuse for presuming trust is completely restored. Far from it. Nevertheless, in a survey we did last year among more than 2,700 consumers – ranking the best providers of customer experience in Ireland – one of the key drivers was Integrity. In other words, the extent to which customers of different brands felt that the business they transacted with was trustworthy and engendered trust. Among the top 10 (out of more than 150 companies), integrity or trust is a hugely important driver of customer loyalty, Net Promoter Score, and lifetime value. Especially for organisations like the Credit Unions, An Post and even Hailo! Though lets not forget the bottom 10: the absence of trust or integrity is critical factor in their poor performance, especially for the company that came last out of more than 150: Irish Water. Come to think of it, there’s a company whose demise – should it come about – might well be connected to a catastrophic loss of trust. Though that isn’t a prediction! But back to the Trust Recovery. Why is it happening and what does it mean for businesses actively addressing their Corporate Social Responsibility agenda? I think one reason we are witnessing a recovery in trust in businesses is that the recession put loyalty at value and the heart of customer relationships and so businesses learned – sometimes the hard way – that keeping the customers you’ve got is more important than beating the competition come what may. Of course, recessions always force businesses in general and marketers in particular to go back to basics. But this time is different. At Amárach, we work with a wide range of clients on developing, measuring and analysing the impact of their loyalty schemes and strategies. What is very clear is that the businesses who win and keep the loyalty of their customers are significantly less vulnerable to price competition and are genuinely seen to be making a real difference to the lives of their customers. Hence the higher levels of trust that they enjoy. Just one example: we recently analysed the Net Promoter Score for customers of a number of different organisations, contrasting the NPS for customers who are in the organisation’s loyalty programme the NPS for customers who are not in the programme (but still shop with the brand). Take Boots: the NPS for their customers who are in the Boots Advantage programme is +18; the NPS for Boots customers not in the programme -11. Topaz also gets a big ‘loyalty boost’ to their NPS: from -33 for customers not in their programme ‘rising’ to -6 for customers who are members. So why is the Trust Recovery happening now? I think we are witnessing an extraordinary confluence of factors such as a greater focus on customer loyalty and the growing importance of customer data in driving business performance and a third factor that I haven’t talked about yet: the waning influence of traditional media. If you ask anyone under 30 what their main source of news is (as I’ve done recently in focus groups for one of our media clients) the answer you will get is: Facebook. Some will mention a news app or twitter. Sure, radio and newspapers are in the mix (TV not so much), but the reality is that for Millennials (and even for their parents), the old media influences are fast disappearing. Why does this matter? Because businesses may well end up the ‘last ones standing’ in terms of institutional influences on what people think, want and do: whether you want it or not, businesses are going to be even more responsible for the type of society we live in in future. Not so much Corporate Social Responsibility as Corporate Societal Responsibility. Now some might this prospect frightening (including, I suspect, a few corporate CEOs! ), but I don’t. Those businesses that are taking their CSR agenda seriously are the ones who will benefit from the Trust Recovery, because they will have made the necessary investments in customer trust, loyalty and transparency in an age of media dis-intermediation. If responsible businesses think of themselves less as hierarchies and more as tribes then they will unlock the extraordinary power of trust, co-operation and purpose that drives shared human endeavour. Loyalty programmes, CRM and all that are mere stepping stones on the way to a responsible future. The Trust Recovery will open up unprecedented opportunities for business leaders to play a critical role in the shaping of our society, our culture and our economy for the better. I hope you are up to the task because I’m not sure who else will do it in the turbulent times ahead. Capitalistic initiative married to an ever expanding supply of available credit has facilitated economic prosperity much like the Sun has been the supply center for energy/ food and life’s sustenance. But now with quantitative easing and negative interest rates, the concept of nurturing credit seems to have morphed into something destructive as opposed to growth enhancing. Our global, credit based economic system appears to be in the process of devolving from a production oriented model to one which recycles finance for the benefit of financiers. Making money on money seems to be the system’s flickering objective. Our global financed-based economy is becoming increasingly dormant, not because people don’t want to work or technology isn’t producing better things, but because finance itself is burning out like our future Sun. Here in Ireland, both AIB and Bank of Ireland have managed to defy gravity by increasing their Net Interest Margin (more so in the case of Bank of Ireland) - the main driver of their recent profitability. But with a Negative Interest Rate Policy coming down the track from the ECB it's doubtful that our pillar banks - or any bank for that matter - will avoid the gravitational pull of the NIRP black hole. Enjoy the sunshine, while it lasts.